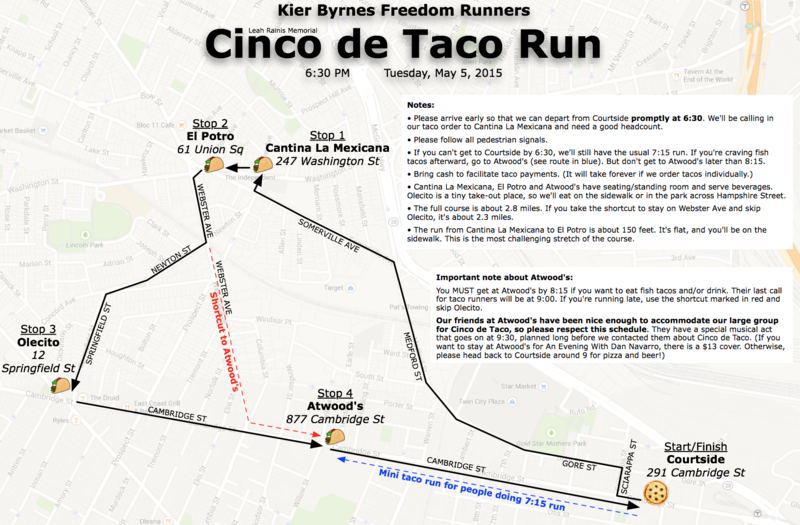 Tonight we run for tacos and beer! We’ll make four stops for tacos on the way back to Courtside. Click on the map for the full-size version.